Car manufacturer Jaguar is to be the exclusive sponsor of Sky Sports' multi-platform coverage of England's series against Pakistan, which starts tomorrow (29 July). The sponsorship, planned and bought by WPP media agency Mindshare, will include Jaguar XJ branding during opening and closing sequences, break bumpers either side of all ad breaks, and on-air promos. The sponsorship is intended to build on Jaguar's position as the official vehicle supplier of the England cricket team. The creative for the sponsorship is being produced by Sky Sports and will run on the Sky Sports and Sky Sports HD channels, the live simulcast on Sky Player and any highlights on Sky Anytime TV. The series comprises four Npower tests, two NatWest Twenty20 internationals and five NatWest one-day internationals. Patricia Muckle, marketing director at Jaguar, said: "Jaguar, like English cricket, has been transformed in recent times, so the timing and fit is perfect. We are confident that Jaguar’s involvement will give Sky viewers an insight into Jaguar’s new range." As part of Jaguar’s four-year deal to be the official vehicle supplier of the national cricket team, England’s centrally contracted cricketers drive Jaguar’s XJ, XF and XF models. 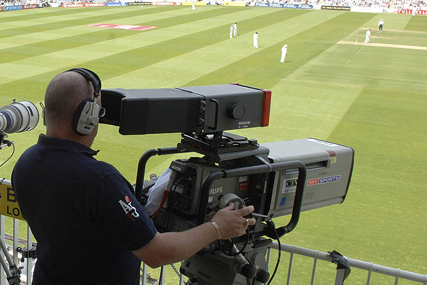 Sky Sports has exclusive live coverage of all domestic cricket in England, including England’s Npower Test matches, NatWest one-day internationals and NatWest Twenty20 matches.